inally home! I brought these home from the Police Dept. Evidence Room last week. I can’t tell you how nice it is to get it back. I hope some more will surface over time, you just never know. 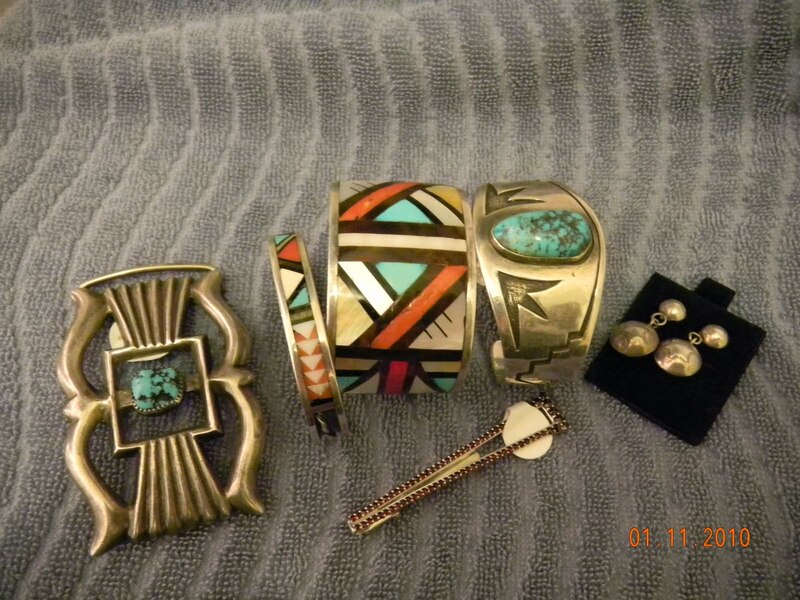 The lady who owns the pawn shop where I found these pieces said that when she was robbed, the burglars buried some of her stuff. When they got out of jail they dug it up and pawned it, she got it back even though a lot of time had lapsed. I will diligently check this pawn shop every week. I forgot how pretty these things were.